Borchert Field: 2018 NL Central Champs! Not having anything specific to do with Borchert Field, but it's a good day for baseball in Milwaukee. 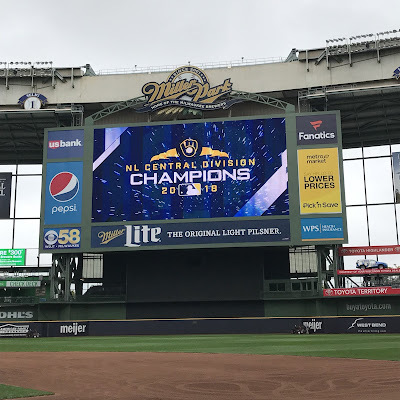 Congrats, Brewers. Can't wait to see what else you've got in store for us. And good to see you rocking the classic logo.